Notes: Hartley Pit station was next to Hester Pit. North-east of Hartley Pit a line curved south-eastwards to join the route of the former Whitley Waggonway; the short-lived passenger service to Seaton Sluice (1851-53) used this curve. 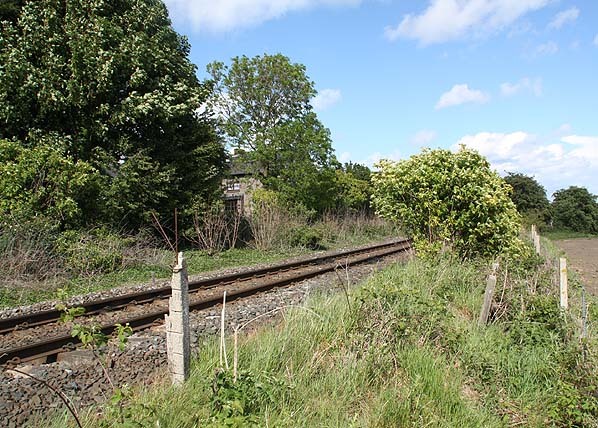 By 1865 this ‘chord’ permitting direct journeys between the original Hartley Pit station and the Whitley / Seaton Sluice waggonways had been removed. Seaton Deleval, Hartley, Newsham, Blyth 2nd site, Blyth 1st site (on branch), Bebside, Bedlington, Choppington, Hepscott & Morpeth B & T.
Hartley Pit was adjacent to the tracks of the Blyth & Tyne Railway, seen in the foreground. 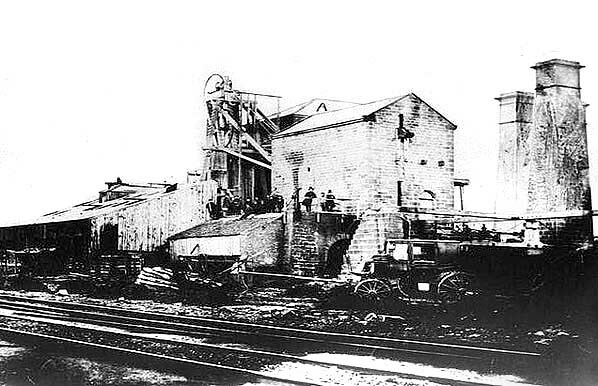 The original station took its name from this colliery. In January 1862 one of the worst mining accidents in the Northumberland & Durham coalfield occurred at this pit. 1850 1:10,500 OS Map. 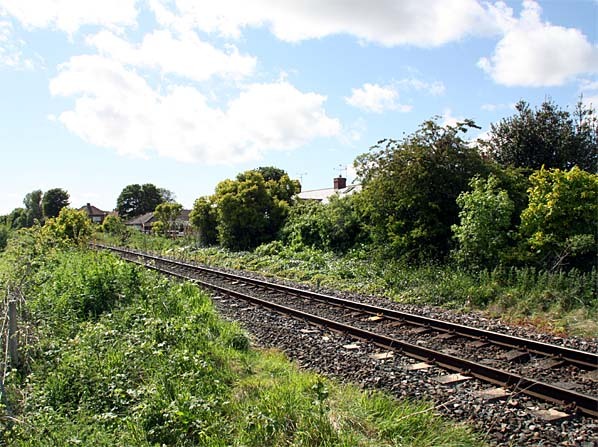 Hartley Pit (1st) station was west of the junction where lines curved away to Blyth (west-to-north) and to the Whitley and Seaton Sluice waggonways (west-to-south). The precise site of the first Hartley Pit station is uncertain, since no map of a sufficiently large scale has been found which includes it, but its name provides the strongest clue as to its location. 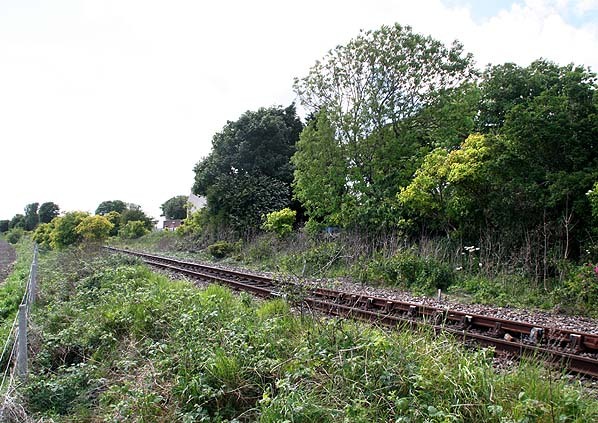 There is no ‘tell-tale’ widening of the railway company’s property near the colliery, which could have been a useful indicator of a former station site. 'Station' has been added to this map to indicate the approximate site. 1865 1:2500 OS Map. 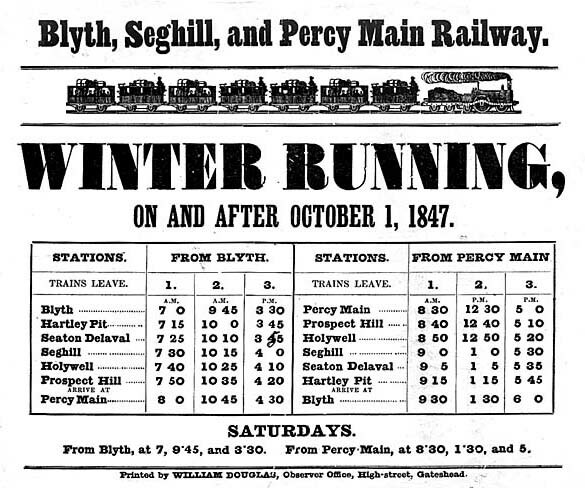 The original Hartley Pit station had been replaced with a new facility occupying the triangle between the Seghill and Percy Main route, and the erstwhile Whitley Waggonway, which became the ‘Avenue Branch’ to Tynemouth (opened to goods in 1860 and passengers in 1861). The new station was soon to be known as Hartley; it probably carried the ‘Pit’ suffix at first. One of these three views must include the site of Hartley Pit (1st) station. The point is made that there is no evidence of it on the ground or from maps to indicate the exact site. The pit was on the far side of the track (May 2011).